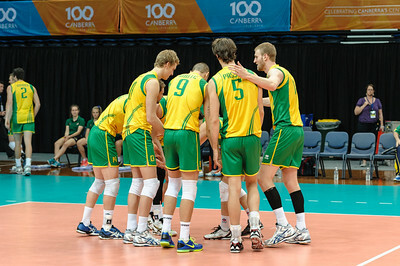 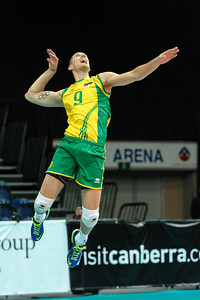 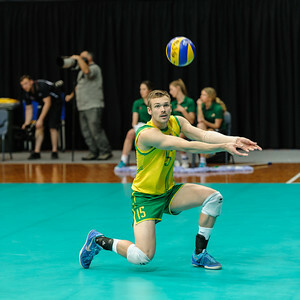 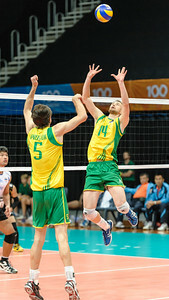 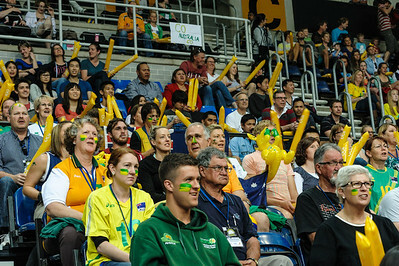 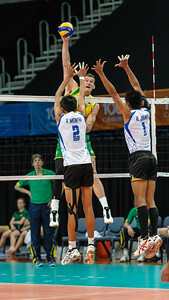 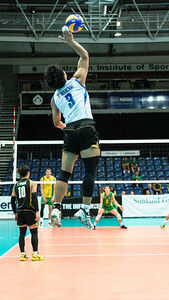 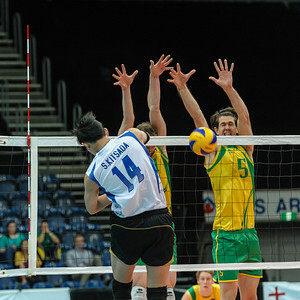 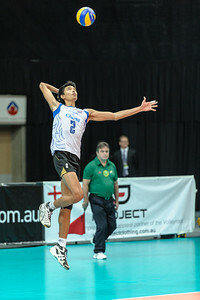 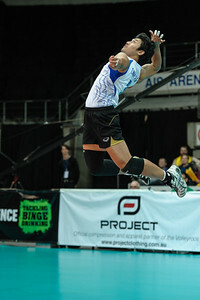 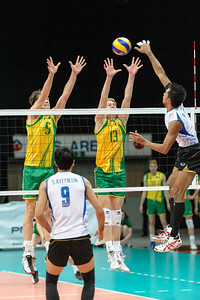 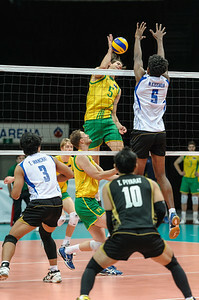 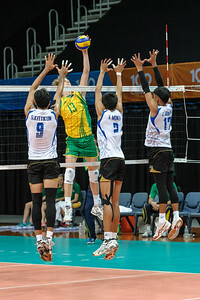 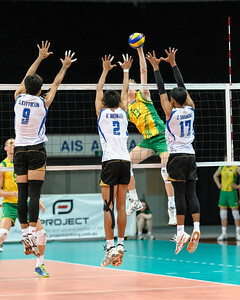 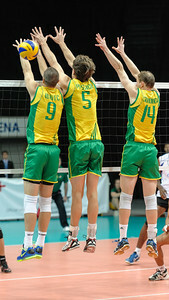 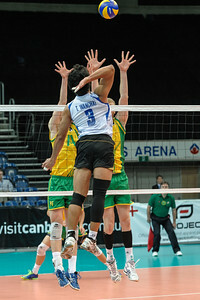 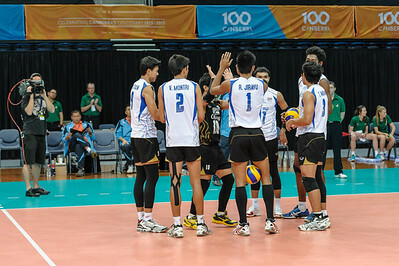 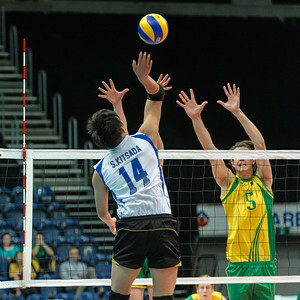 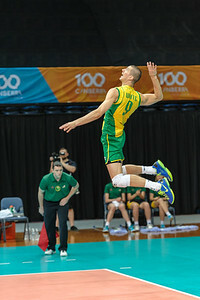 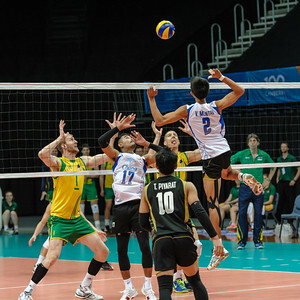 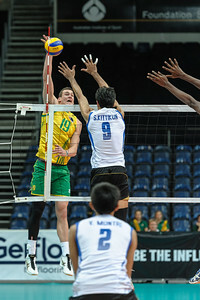 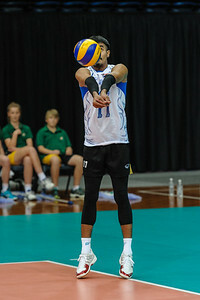 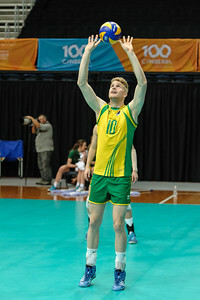 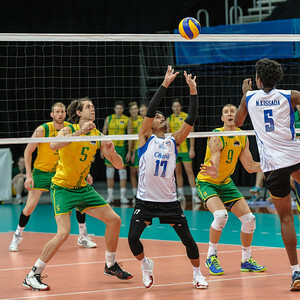 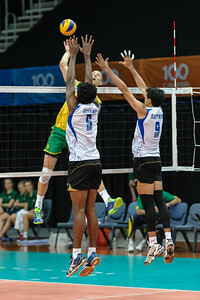 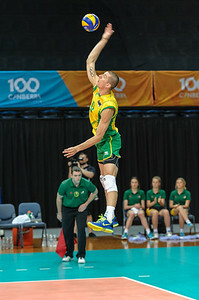 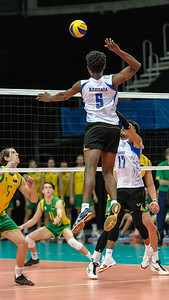 Australia v Thailand, the sixth match in the FIVB World Championship Qualifiers held at the AIS Arena in Canberra on Sunday 8 September 2013. 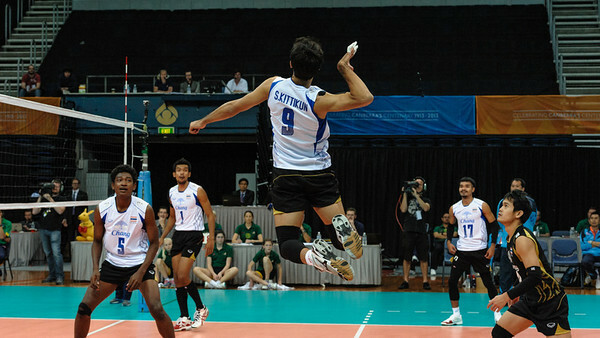 Jirayu Raksakaew throwing a ball to the spectators. 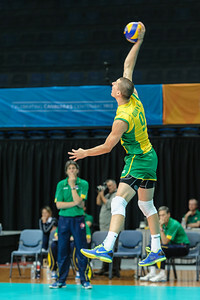 Ben Bell (Australia) warming up.